Bruce grew up in the 60’s, a huge music fan who dreamt of opening a concert venue someday. For thirty years the responsibilities of career and family took priority, but his dream didn’t fade. 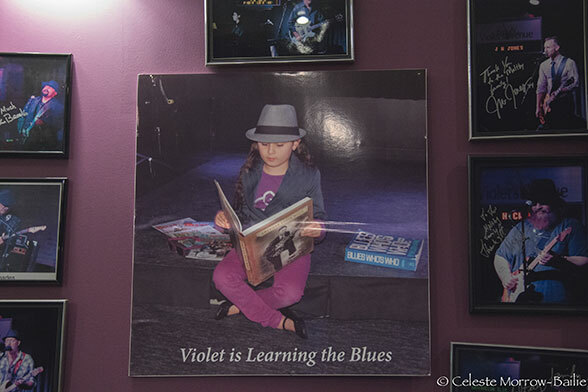 In February 2014, Violet’s Venue, a “purple hued no expense spared temple to the Blues”, opened its doors in Barrie, thus fulfilling Bruce’s long held dream while setting the stage to leave a musical legacy for his young daughter Violet. 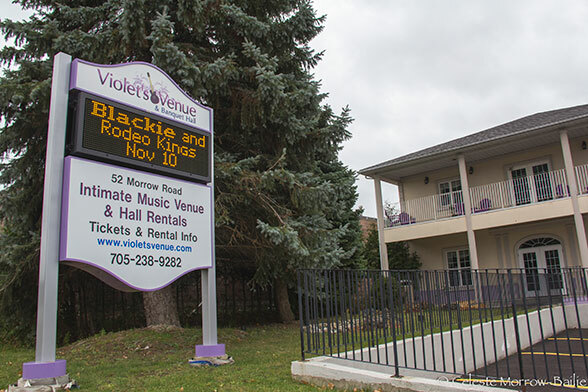 Violet’s Venue provides concert goers from near and far with an exclusive, very intimate concert experience. Seating is for 92 patrons, every seat is a great one. For those that require it, an elevator is available. Merch table, meet and greet with autograph session are part and parcel of the evenings, a fans dream! Beverages both alcoholic and non are available. Facilities on the main floor avail themselves for foodie events. A historic organ, the type traditionally played by Blues musicians, bronze plaque polished, gleaned from a Toronto church, is right of stage and the entire sound system, well, it is astounding! Which brings me to the music, and at Violet’s Venue, it is all about the music. 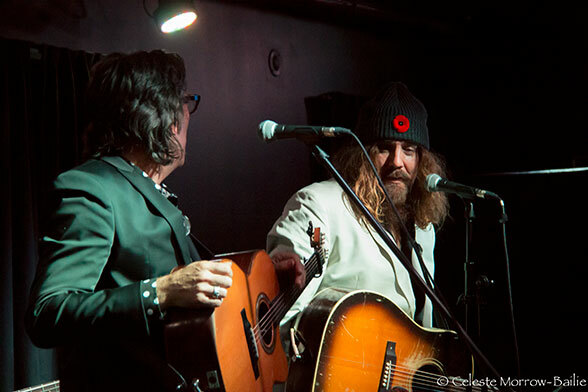 Mid set; I was honoured to be granted an exclusive interview with Tom Wilson, of Juno Award winning, Blackie and the Rodeo Kings. Penelope Morrow: I usually interview Chefs, so can’t help but bring a comparison to food; too many cooks can spoil the broth, but NOT with you guys. You have a stellar musical career happening, all of you, and extraordinary talents. How do you identify what song is going to be your song and what song is going to be a Blackie and the Rodeo Kings song? How do you choose? Tom Wilson: You know what, there is some kind of thing that comes out of the cosmos, some kind of magic trick, or some kind of spiritual guide. Let’s call it for lack of a better term, there’s a spiritual guide that comes out of the creative energy you know, something we do pool from other worlds, and you follow that lead. That you go with creatively so you actually know what’s right and after doing this for so long we don’t try to do things we shouldn’t be doing, we don’t try and force things, on one another or on ourselves or try to put the round peg into the square hole kind of thing. PM: What is your BARK method as it were, for reconciling with strong personalities both musical and personal, and dealing with the distance between your locales? You’re in Hamilton, Colin is in Nashville and Stephen is in Halifax. How do you have such a cohesive band when you are so far apart? TW: I think it probably helps a little bit, we don’t get under each other’s skin, we don’t see a lot of each other except, unless, we have the intent of doing something creatively, it defines our relationships at this point in our lives. I have known Colin since I was 16 years old; I have known Stephen since about 1994, about 21 years I guess. So familiarity builds contempt and there is just none of that in this band. Also we have built a band that doesn’t say no to one another we are open to ideas all the time, because we are able to trust one another that the person is not going to lead us down a path we shouldn’t be going down so not having to say no is easy. PM: You are touring North and South, had to use that one, you are even going to the Calabogie Road. TW: Yah we kind of go from one project to another. Colin is about the one guy that is the most stable at home these days as he works in Nashville. He is a go to guy as a guitar player and as a writer and as a producer, he is working on a TV show called Nashville full time, he is on the show, he is part of the musical direction of the show, recording team, its huge, the show is huge, nice little gig to be working on. It’s also a great creative outlet for him, but also its keeping him at home. And every once and a while, I am 55 and tired of travelling, so you always look for ways to be able to, that allow you to choose what you want to do when you want to do it cause that’s what becoming an artist is all about. Basically it’s impossible for us to be told what to do. For whatever reasons we are born with authority issues and now we are middle aged men with authority issues, so it’s even more difficult for us to be told what to do. Sustaining a life where you get to be creative and you get to make choices that you get to live with, that you don’t have to live by anyone else’s choices for you, that’s important and that’s what we will continue to try and do until they are throwing dirt on our caskets. PM: Do you like the small venues? TW: Sure I like any venue. This is a great place. I like any place, I like it here. This is nice, I don’t know what it was, it looks like it might have been a funeral home or a banquet hall maybe. PM: I believe it was a banquet hall. TW: Most of all it’s about the heart that people put in the venue. Bruce, who owns it, he puts a lot of heart into this place and he’s got a real love for music and that’s what we need. We need more of that. PM: Tell me about your painting? PM: Thank you so much for your time. TW: Thank you very much, it’s good. 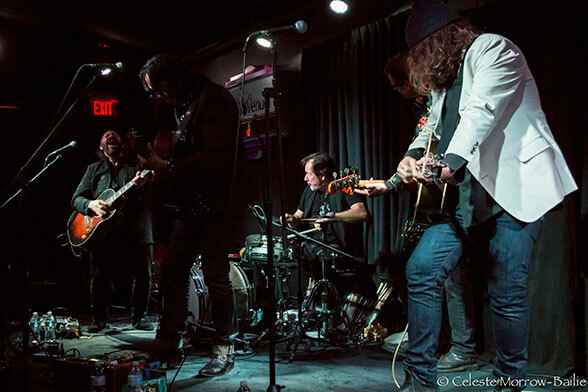 Blackie and the Rodeo Kings performed an amazing show at Violet’s Venue on November 10, 2014. 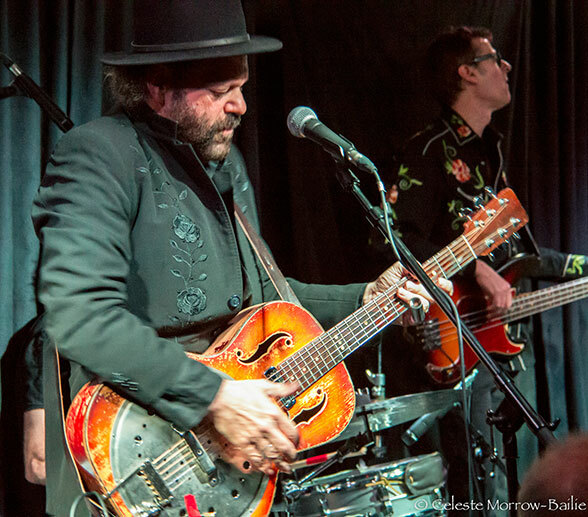 Colin Linden, Stephen Fearing and Tom Wilson engage the audience with their thoughtful wit and storytelling between songs. The caliber of their songwriting impresses me, rich with life experience and depth of emotion, with guitars in hand they lead us, they make my boots stomp and my hips sway. This is damn good music. Their gratitude in achieving success is clear, while showing altruism and caring for others with their support of World Vison, offering the audience “anything off the merch table to those that sign up to support this cause”. 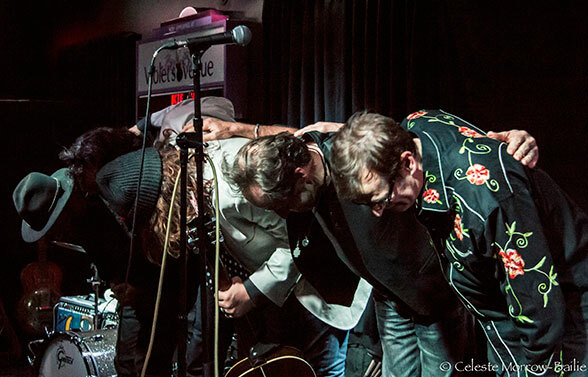 Tom Wilson eloquently summed up my own thoughts about Violet’s Venue when he noted the love for the music that Bruce Maltby has; it is visible in the quality of the workmanship, the autographed photographs of each performer that has played at the venue that surround the picture of his beloved daughter Violet. 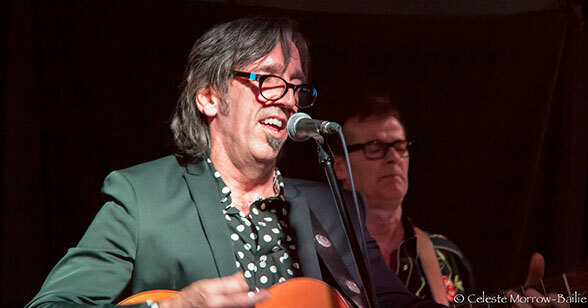 There is quality at Violet’s Venue, on stage and off.